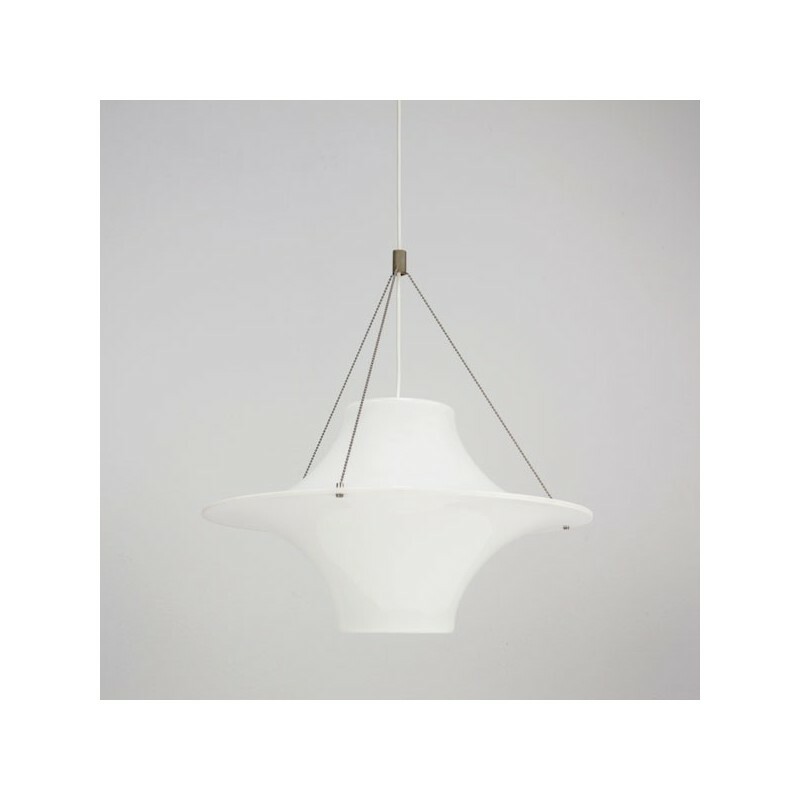 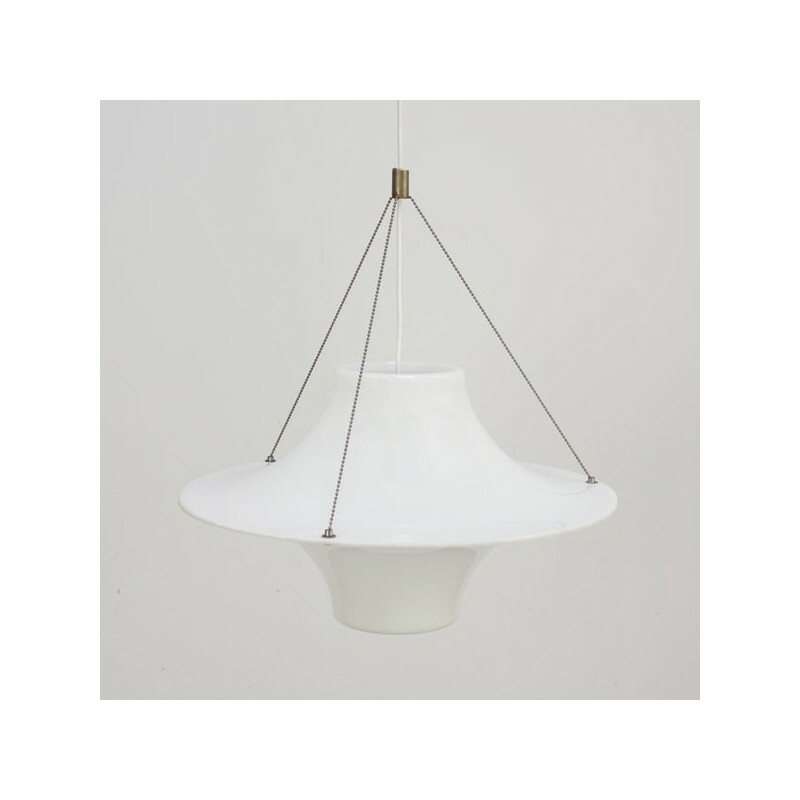 Design hanging lamp "Skyflyer" designed by Yki Nummi in 1960. 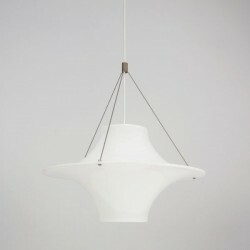 The lamp is made of white plastic and is in good condition, for details, see the photos. 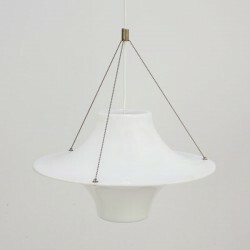 The size is 28.5 cm high and 50 cm in diameter.